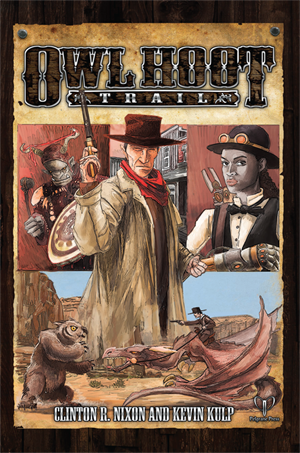 Take a little bit of western and a little bit of fantasy, and shuffle them together and you get the wonderful Role Playing Game from Pelgrane Press called Owl Hoot Trail. The game is well written, reasonably simple, and a lot of fun. 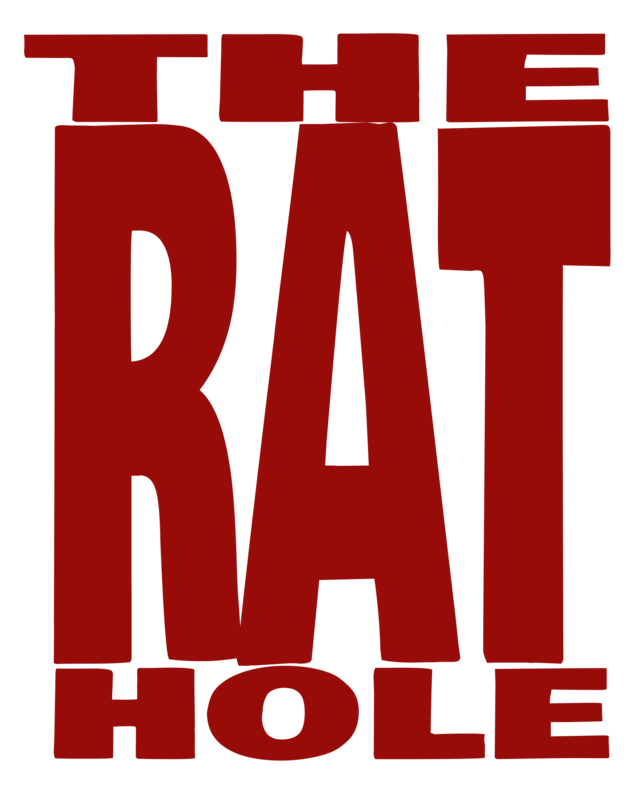 Published in 2013, the book consists of 2 parts: the rules (obviously), followed by a multi-part adventure. The Pelgrane Press website also has a handful of downloadable resources to help make running and playing the game even easier. The rules run pretty standard, which is part of the point, it’s a simple system and it works well. In case you’ve never played an RPG, you start by creating a character. In Owl Hoot Trail this starts with picking a race: Half’in (Halfling), Hill Folk (Dwarf), Human, Orc, or Shee (Elf). Next, you get a character class: Gunslinger, Marshal, Ruffian, Scoundrel, Scout, as well as a few more interesting ones like Gadgeteer, Mentalist, Preacher, and Shaman. As with every game, each race and class has it’s own advantages and disadvantages, which have an effect on your character’s abilities and skills. Finally, pick out some weapons and equipment, and your character is basically done. Once you have your character, you need to learn what you are going to do while you adventure. Things like how time and movement work, and what happens when your character gets hurt (when, not if, because that’s going to be a thing). In fact, there’s a whole chapter just on fighting and how it works. Barroom brawls, horse chases, ambushes, one-on-one gun battles, everything you’ve seen in all those old western movies is pretty well covered. But don’t forget this isn’t JUST a western game, it’s full of fantasy too. Fantasy in an RPG generally means one thing, MONSTERS! Owl Hoot Trail has a nice selection of classic fantasy monsters, spiced up for the western theme. There is also information on customizing and creating your own foes. They give the wonderful example of using harpies to replace your typical desert background player, the buzzard, that’s just awesome. The rule section of the book concludes with some advice and resources for the Game Master who is going to be running the game. Just 63 pages into the book and you’re ready to play! The second half of the book contains the adventure They Rode to Perdition. I’m going to be intentionally vague on this part of the book, so as not to spoil the fun. In a nutshell, the adventure is broken up into three acts, with a prologue and an epilogue. Fully played out it should last you four or so sessions, but can easily be cut back to as little as one or two. With a little careful record keeping by the GM, there is a ton of potential groundwork here to continue the story in more adventures on your own. One of the great things about Owl Hoot Trail’s publisher, Pelgrane Press, is that they are one of many publishers that participate in the Bits and Mortar program. This means if you buy a paper copy of most of their titles at a participating retailer, you can get a digital copy of it for free. If you’ve bought from a non-participating retailer, many of the publishers will still set you up with a digital copy as long as you have the appropriate proof-of-purchase. Owl Hoot Trail is a wonderful little cross-genre romp. Whether you are looking to start playing RPGs (without buying a library), or just want something different to break up your regular gaming sessions a bit, consider picking this one up.